Nottinghamshire’s starting XI is likely to have a different look this summer after the green-and-golds made significant moves to strengthen their squad this winter. But they are far from the only county to have been busy with recruitment ahead of the new season. After Ben Slater’s move to Trent Bridge towards the end of last season, opener Tom Lace has been brought back to the club on a season-long loan from Middlesex. Scotland international spinner Mark Watt will bolster their attack across all formats. Last season: Championship: 7th (Second Division), One-Day Cup: Group Stages, T20 Blast: Group Stages. Spectators at Chester-le-Street will have to get used to watching their side without Paul Collingwood at the helm after the all-rounder retired at the end of last season. He will be replaced as skipper by Australia international Cameron Bancroft, returning to first-class cricket after his ball-tampering ban expired. Former Outlaw Peter Siddle returns to Essex to add experience to their bowling line-up, but the 2017 County Champions will be without long-serving wicketkeeper James Foster after he hung up his gloves at the end of the last campaign. Billy Root brought down the curtain on his Notts career by moving to Sophia Gardens in the close season. He will be joined by county debutant Charlie Hemphrey in a little-changed squad, while the Australian pair of Marnus Labuschagne and Shaun Marsh will share the overseas player role pending international call-ups. Stuart Whittingham has made the move from Sussex for the new campaign in search of regular first-class cricket. He will be joined by the Antipodean pair of Dan Worrall and Michael Klinger, with the latter returning to the Bristol County Ground for the ninth successive season. The south-coast side acted quickly to bring in South Africa opener Aiden Markram for the first month of the season after their initial overseas pick, Dimuth Karunaratne, became unavailable due to international commitments. Warwickshire stalwart Keith Barker has made the move to the Ageas Bowl after ten years with the Bears. Matt Milnes made the move to the St Lawrence Ground after an impressive start to his first-class career with Notts. He takes his place in a squad which has lost Will Gidman, after the ex-Outlaw announced his retirement. Australia opener Matt Renshaw will add early-season strength to the batting line-up. 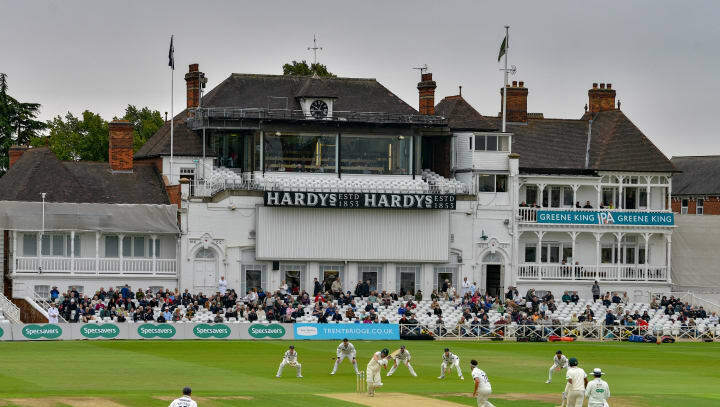 The Red Rose county are back in the second division of the County Championship for 2019, but it is in limited-overs cricket where their new arrivals have the most pedigree. Richard Gleeson joins from 2013 and 2016 T20 Blast champions Northants, with Glenn Maxwell’s powerful ball-striking also sure to be an asset in the shorter forms of the game. There has been a significant overhaul of the playing staff at Grace Road over the winter. New Notts arrival Zak Chappell is one of nine players to have left the club, who will be able to call upon the services of Pakistan fast bowler Mohammad Abbas once more. The signing of South Africa legend AB de Villiers has stolen the headlines at Lord’s over the winter. He has signed a T20-only deal, alongside Afghanistan spinner Mujeeb Ur Rahman. Former Notts captain James Franklin has been named as head coach at Durham following his release from the side he led to the 2016 County Championship. Windies skipper Jason Holder will be looking to bring his impressive international form to the County Ground for his one-month stint, before his place as overseas player is taken by South Africa batsman Temba Bavuma. Faheem Ashraf will add to the bowling attack of the perennial T20 Blast contenders. The Outlaws have made significant additions to their bowling and batting ranks during their busiest winter for many years. James Pattinson rejoins for the opening months of the season hoping to replicate the scintillating form he showed in a previous stint with the club in 2017, while Ben Duckett, Ben Slater, Joe Clarke and Zak Chappell bring an injection of youth into the side. Double County Championship winner Jack Brooks could prove to be a shrewd acquisition to a Somerset seam attack which traditionally struggles for wickets at Taunton. Jerome Taylor returns for the Vitality Blast after his 22 wickets in 2018 helped Somerset to reach Finals Day. The County Champions will once again be able to call on the top-order nous of Dean Elgar, who is closing in on 1,000 runs for the county. He will be joined by former Lancashire all-rounder Jordan Clark and England fast bowler Liam Plunkett. Rashid Khan returns for a second consecutive season at Hove having proved himself as an integral part of the Afghanistan set-up. Head coach Jason Gillespie has also secured the services of Pakistan fast bowler Mir Hamza for 11 Championship games and the entirety of the One-Day Cup. There will be a fresh look to the line-up at Edgbaston this season, after the long-serving bowling duo of Keith Barker and Chris Wright departed and ex-England batsman Jonathan Trott retired. Craig Miles and Liam Norwell both end long associations with Gloucestershire in search of a taste of First Division cricket. Riki Wessels’ powerful hitting will further strengthen the batting line-up of the reigning Vitality Blast champions, who will also be able to call on New Zealand opener Martin Guptill for at least 11 games in the competition. Fast bowler Duanne Olivier brought his burgeoning international career with South Africa to an end over the winter by signing a three-year Kolpak deal at Headingley. His firepower will be vital to supplement an attack which has lost Jack Brooks and Liam Plunkett to rival counties. Will Fraine also links up with Andrew Gale’s side after a short spell at Trent Bridge.